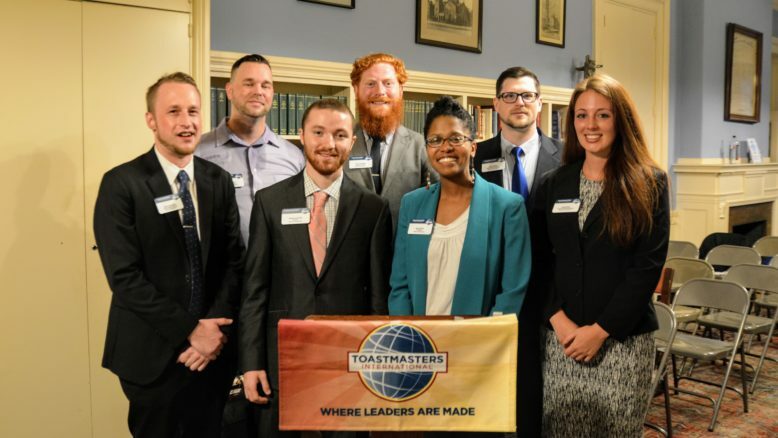 Boston Toastmasters is a community of roughly 80-100 members who are looking to improve their public speaking skills. We meet twice a week: Tuesday is speech night, and members meet in small groups on alternating Thursdays and Saturdays to work on their projects. Our members include speakers at all skill levels, with beginners and intermediate skill levels making up the majority of our clubs members. We are part of the Toastmasters International organization which is a world leader in communication and leadership development. Toastmasters’ global membership is 270,000 strong. These members improve their speaking and leadership skills by attending one of the 13,000 clubs that make up our global network of meeting locations. Membership in Boston Toastmasters is one of the greatest investments you can make in yourself. At $75.00 every six months, it is also one of the most cost-effective skill-building tools available anywhere. See our video presentation to learn more about Toastmasters. Register for the District 31 SPRING Conference in Norwood May 17-19, 2019! Beginning in 2018, District 31 will only host a single, yearly conference in the spring. Don’t miss a chance to get a discount on this event! If there is no special message scrolling at the top of this page, then our next meeting will be on Tuesday at 6:15. Toastmasters International bars those under the age of 18 from membership. While meeting content generally conforms to community standards, Toastmasters meetings are not intended for minors, and Boston Toastmasters has no control over the content of individual members’ speeches. Copyright © 2019 BOSTON TOASTMASTERS. All Rights Reserved.